hd00:24Beautiful home interior festively decorated for Christmas celebration. Closeup of small hands of little kid choosing gifts. Real time full hd video footage. hd00:19Christmas Tree decorated and gift box. Christmas, New Year Holiday Background. 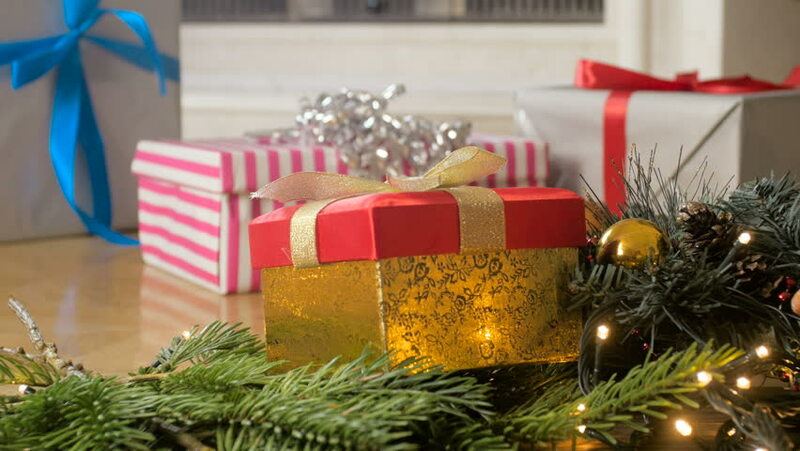 hd00:12Red candle ,gift box ,Christmas ball and decoration.Christmas decoration and white snow. hd00:12Close up of decorated Christmas tree with gifts.